CBS doesn't miss a beat with returns of Criminal Minds, CSI: NY. CBS might want to just go ahead and trace a chalked corpse outline around its famed Eye logo. After ceding Wednesday's first prime-time hour to ABC's Dancing with the Stars, the No. 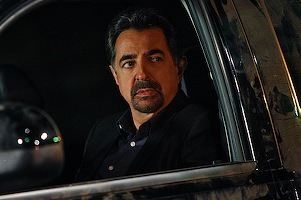 1-rated network bludgeoned the competition with its season premieres of Criminal Minds and CSI: NY. Dancing opened strong with 338,793 D-FW viewers in the 7 p.m. hour. For the record, former House Majority Leader Tom DeLay and ex-Cowboys star Michael Irvin both landed in the bottom three but George Hamilton's son, Ashley, got the ninth edition's inaugural kick-off. He later was joined by Macy Gray, the first female celebrity ousted. The new NBC medical drama Mercy ran second at 7 p.m. with 172,718 viewers for its premiere. CBS' returning New Adventures of Old Christine and Gary Unmarried took the bronze, edging Fox's So You Think You Can Dance. Among advertiser-coveted 18-to-49-year-olds, Mercy dropped to a third-place tie with Fox's hoofer. Criminal Minds then reopened with 365,365 total viewers, easily besting the season premiere of NBC's crimestopper, Law & Order: SVU (192,647 viewers). ABC's debuts of two mostly critically praised comedies, Modern Family and Cougar Town, ran third at 8 p.m. with 179,361 and 212,576 viewers respectively. Fox's Glee, already renewed for a full season, lagged with 152,789 viewers. Criminal Minds won its first half-hour with 18-to-49-year-olds, but Courteney Cox's Cougar edged it for the gold from 8:30 to 9 p.m. That's a very impressive showing for the show's opening night. CSI: NY commanded the 9 p.m. hour in both ratings measurements, with ABC's new Eastwick in the runnerup spot. NBC's The Jay Leno Show ran fourth across the board, drawing just 112,931 total viewers compared to CSI: NY's 352,079 and Eastwick's 199,290. Fox4's 9 p.m. local newscast also beat Leno with 139,503 viewers. Capitalizing on another strong CBS lead-in, CBS11 won the 10 p.m. local news race for the third straight weeknight in total viewers, drawing 279,006 to runnerup WFAA8's 219,219. CBS11 also ran first at 10 among 25-to-54-year-olds, the main advertiser target audience for news programming. Stuck with the slumping Leno, NBC5 ran third in total viewers and fourth with 25-to-54-year-olds. The 6 a.m. local news golds again went to NBC5, which also swept the 5 p.m. competitions. WFAA8 notched a 6 p.m. win in total viewers, but Fox4 had the edge among 25-to-54-year-olds. The 33's fledgling 5:30 p.m. local newscast, which ran a heady second Tuesday among 25-to-54-year-olds, fell back to earth Wednesday with a distant sixth place finish in that key demographic. Fox4's local news ran first, easily outpointing the three network newscasts and everything else.